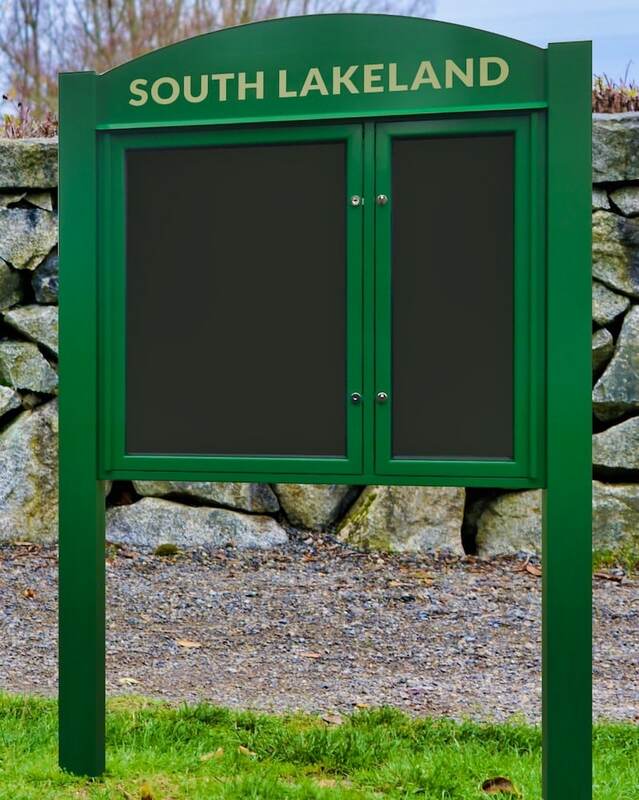 Do you need a noticeboard where members of the public can post a message? Our push button locks are an alternative to traditional key locks. Simply push the button and the door opens. These are very popular with parish councils, and especially on the double door style noticeboards. One side is key locked and reserved for official notices accessible by key owners, and the other is accessible by members of the community. Thumb locks are available on most of our premium noticeboards and now our new wooden noticeboards. These noticeboards now have a 10 year guarantee as standard. For more information on this product and others, take a look at our website dedicated to Church Noticeboards – www.church-noticeboards.co.uk.